One of the primary aims of consumer psychology is to understand the way individuals evaluate objects and events. Numerous studies have led to an understanding that evaluations and choices are driven not only by the quality and value of an object, but also by internal factors such as subjective perceptions. Construal-level theory (CLT) suggests that one important determinant that influences people’s perceptions is psychological distance. Here, I will discuss three different aspects of psychological distance: conceptual distance, time distance and desirability vs. feasibility. Each of these aspects has important implications on customer experience. When used wisely, they can affect the online interaction by influencing the visitor’s state of mind. Psychological distance affects the way an object or event is represented in our minds, as well as how concrete or abstract those thoughts are. “High-level construal” refers to thinking abstractly, or looking at the big picture and not focusing on details. ”Low-level construal” refers to thinking concretely, or focusing on the "here and now" in great detail. Our conceptual distance from an object refers to the way we cognitively construct the object. Low-level construal relates to the practical, concrete features of an object or event such as its size, color, price and function, while the high-level construal relates to abstract concepts such as the experience one has with an object. For example, if we describe a broken link on a web page as “unclickable,” that is low-level construal. However, observing that “interaction with the broken link leads to frustration” is high-level construal. Implications to user experience. A 2006 study conducted by Fujita, Trope, Liberman and Levin-Sagi found that exposing people to high-construal-level thinking (by asking questions such as “Why are you doing that?” rather than “How are you doing that?”) reduces the dominant preference that people have for immediate reward over long-term benefits. Thus, using high-level wording can activate the high-level cognitive constructs and affect the visitor’s decision. Compare these two subscription pages. 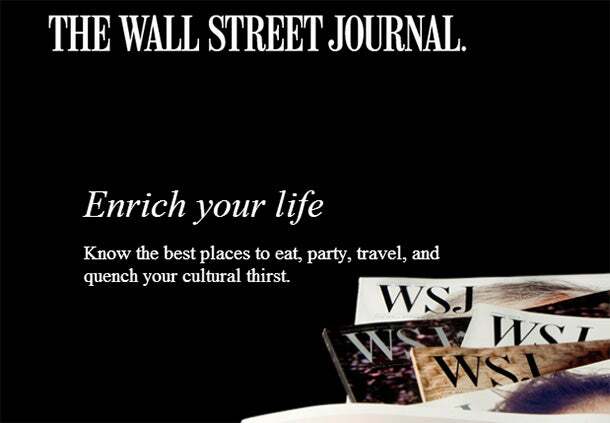 The Fortune ad activates low-level construal by exposing the visitor to concrete earthy concepts such as price and subscription duration, while the Wall Street Journal activates high-level construal by exposing the visitor to abstract concepts as life enrichment. Time distance is another factor that can influence our perception. It refers to the length of time between the present and a specified future event. For example, planning a vacation in the near future will be perceived differently than planning a vacation in the distant future. When we think about an event that will occur in the near future, we focus on the practical implications, but when we think about an event that will occur in the distant future, we focus on the experience. Implications to user experience. Analysis we conducted on one of our clients in the travel industry revealed that website visitors scheduling a vacation far into the future were willing to pay more than visitors planning one in the near future. This is because planning a vacation a year in advance causes one to focus on broad, de-contextualized features of the situation (anticipating fun and relaxation), while scheduling the very same vacation a month in advance causes one to focus on specific features (making restaurant reservations, deciding whether to go on a trip in an off-road vehicle). Planning a vacation in the distant future creates a more desirable perception, so people are willing to pay more for it. Desirability vs. feasibility. Construal level is also related to the desirability and feasibility of a product. Considering the desirability of an object, event or course of action puts more importance on the end result and is a high-level construal. Alternately, feasibility is more focused on how to get to the end result, which is a low-level construal. Desirability may reflect the value one attaches to the moment of raising a glass of wine to one’s lips, while feasibility applies to the process of choosing a specific bottle of wine from a wide selection. In such a case, as long as the wine is described in terms of its experience, the motivation to purchase it will overpower its cost. However, any reference to the selection process will immediately activate price concerns. Implications to user experience. 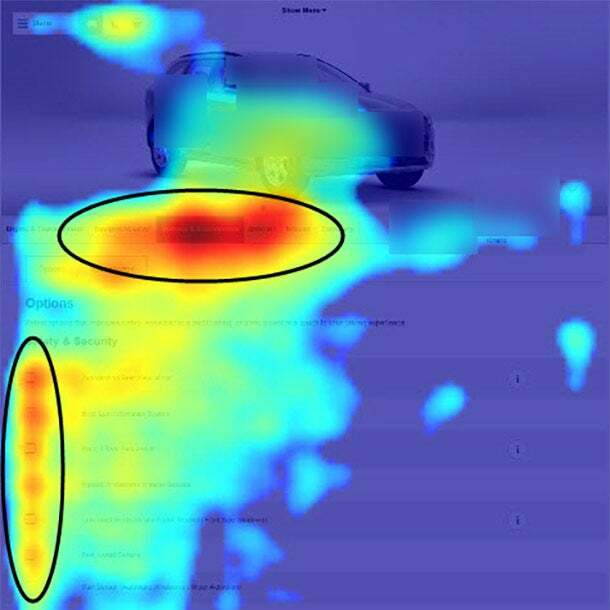 Heat maps of a luxury car company’s website revealed an interesting pattern of behavior. Visitors showed high levels of engagement with the seat fabrics, colors, accessories and options -- as if they were trying to imagine how it would feel to drive the car. Furthermore, there was very minimal click-through on the site’s ”Used Cars” button, indicating that the consumer segment drawn to this company’s cars is not interested in purchasing second-hand items at reduced prices. Emphasizing the practical characteristics of a luxury car is not effective. You will never hear a salesperson pitch a Ferrari with “Check out its seatbelts!” Instead, he’ll say, “Feel how smooth this baby rides!” He will try to sell you an experience. In contrast, it is pointless to use high-level construal on visitors that are looking to purchase a used car. Instead, the salesperson will stress that it is a reliable car at a reasonable price. Indeed, analysis of visitor interaction with a used-car website revealed completely different behavior, including high levels of interaction with price, miles per gallon and safety features. This indicates a more realistic and practical perception of the product. 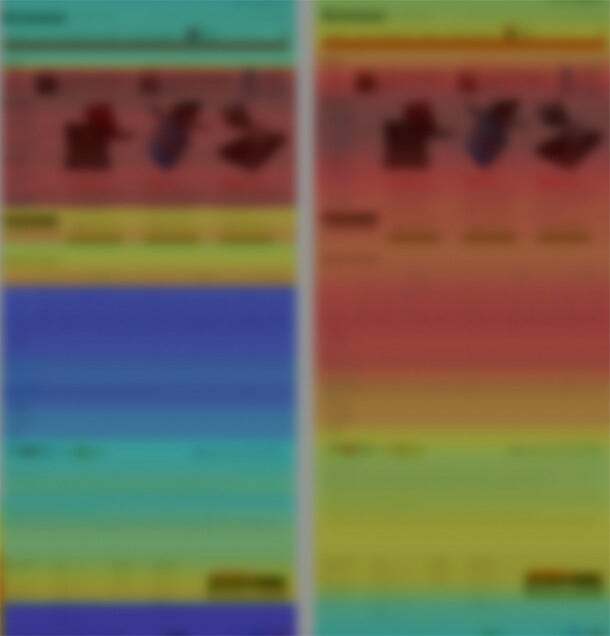 As shown below, analysis of an electronics ecommerce company’s site revealed the same patterns of behavior. Visitors who scrolled down the page and paid attention to the technical-specification details, reviews and product descriptions were much less likely to add the product to their cart than users who didn’t scroll down as far and instead focused on the product images, playing with its colors and accessories as if they were creating their own experience with the product. Construal-level theory predicts that people are more satisfied and make better decisions when their psychological distance matches the type of problem they are facing. Thus, it is important that online businesses match their presentation of each product with the way the product is perceived by consumers.